"Your way of communicating was so special ... so warm ... so personal ... somehow as if we have known each other for a very long time. Everything went smoothly and uncomplicatedly. Also on site ... you are really a great person. Likewise, you are very professional. As I mentioned before, you have met your specified processing time, which is very professional. The photos are great and very nicely edited...". Q • HOW LONG HAVE YOU BEEN A PROFESSIONAL PHOTOGRAPHER? A • I have been a full-time professional photographer since 2011. My learning curve went from assisting to being a second shooter to becoming an associate photographer for a high-end wedding studio. Over the years I had a privilege to document hundreds of weddings as a lead or second photographer ranging from 2 to 600 people. I am quite seasoned to perform well under pressure and very familiar with intercultural weddings. Q • WHAT KIND OF EQUIPMENT DO YOU USE? A • I use professional grade digital Canon DSLR cameras like Canon 5d Mark IV with an array of L-series zoom and prime lenses. When lighting situations are favorable I also use a Medium Format film camera as film produces one of a kind dreamy images that are impossible to replicate with digital. Q • DO YOU BRING A BACKUP EQUIPMENT? Q • DO YOU HAVE INSURANCE? A • YES. I carry general liability, indemnification and equipment insurance through Hill&Usher. Please, let me know if your venue needs a certificate of insurance. Q • ARE YOU A LEGIT BUSINESS? A • Yes, my company is registered as an LLC in the state of NJ. Q • WHAT IS REQUIRED TO BOOK OUR DATE? A • 30% deposit along with a signed contract is required to book your date. Your final balance is due 30 days before the wedding. A • I am based in Hoboken, NJ, right outside of NYC, but always eager to travel and have a current passport. Q • DO YOU WORK WITH A SECOND SHOOTER? A • Yes. If your package includes a second photographer, I have a network of talented and experienced peers who are fully qualified to document weddings. Q • WILL I RECEIVE HIGH RESOLUTION IMAGES? A • Yes, you will! All collections include fully edited high resolution images with printing rights for personal use. Q • HOW ARE THE IMAGES DELIVERED? A • All of your edited images are delivered via digital download through your own private online gallery. There are no watermark restrictions or any additional fees. The gallery will also have an option for purchasing prints and other products. Q • WHEN DO I GET MY IMAGES? 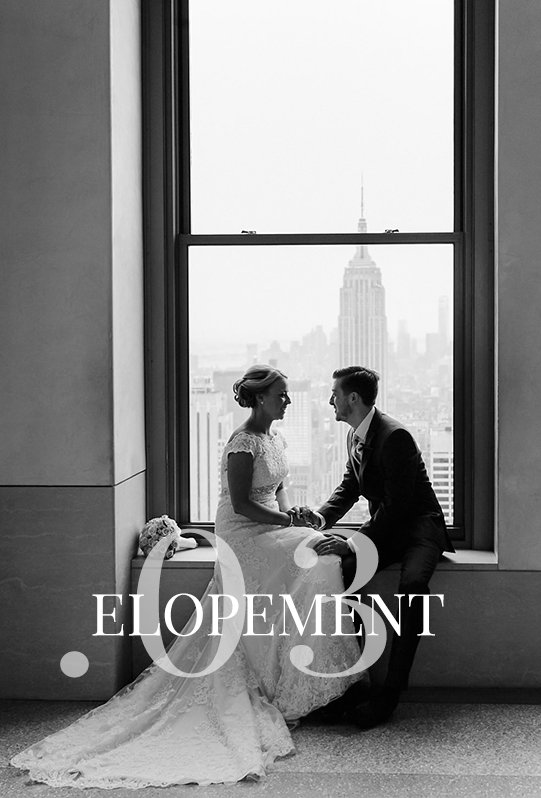 A • You will receive you hi-res digital images for engagements, elopements and portrait sessions within 3-4 weeks. Turnaround for weddings is typically 6-8 weeks (sometimes faster). 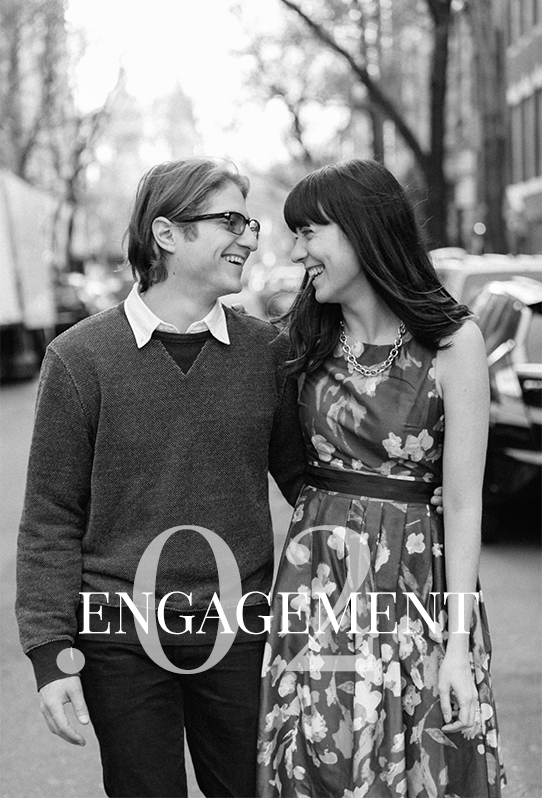 Q • HOW MANY HIGH RESOLUTION IMAGES WILL I RECEIVE FROM THE ENGAGEMENT SESSION AND THE WEDDING? A • Every session and wedding will vary based on hours of coverage and other factors like weather, number of guests, schedule, etc. On average I deliver 55-70 images/hour or more. Engagements typically run anywhere from 50-100 images, while full coverage weddings range from 600-1000. The good news is I don't put a number on it, you will get EVERY single good image we capture. A • I offer an assortment of professional archival prints, albums, and canvases you can cherish with your family& friends for years to come. I strongly believe in tangible family heirlooms. Q • DO YOU OFFER VIDEOGRAPHY? A • Unfortunately, I don't. However, I have a list of trusted vendors I am always happy to share with you. Do you have more questions? Please, feel free to send me a note.